US calls on Syria's Assad to go Jump to media player US Secretary of State Hillary Clinton has said Mr Assad is the main obstacle to his people enjoying a "government that respects their dignity, protects their rights, and lives up to their aspirations". 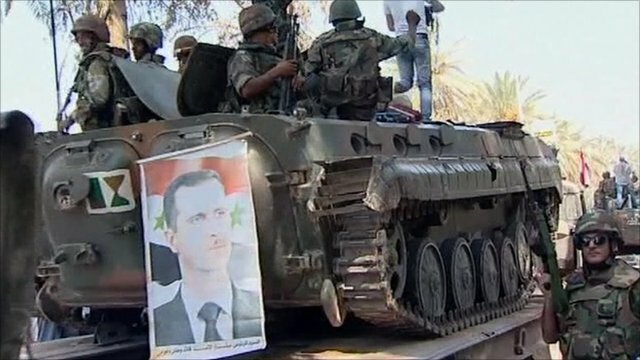 Syria: 'The repression goes on' Jump to media player The BBC's Jim Muir in Beirut says that there have been a series of high-profile withdrawals by Syrian troops in recent days, but that activists continue to report deaths and "the repression goes on". 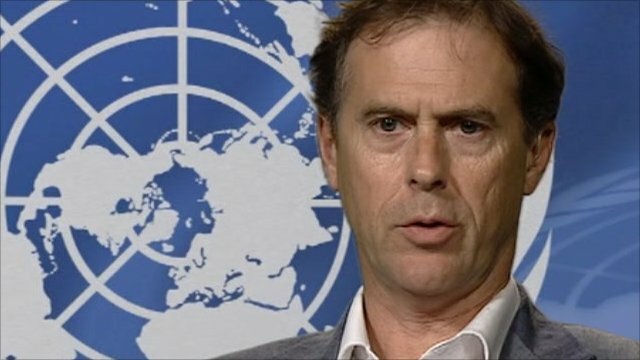 UN says Syria abuses widespread Jump to media player United Nations investigators have said that the Syrian government's violent crackdown against protesters may amount to crimes against humanity. US President Obama has called for Syrian President Bashar al-Assad to resign, joining the UK, France, Germany and the EU in demanding he step down. Mr Obama has also signed an order tightening US sanctions on Syria. 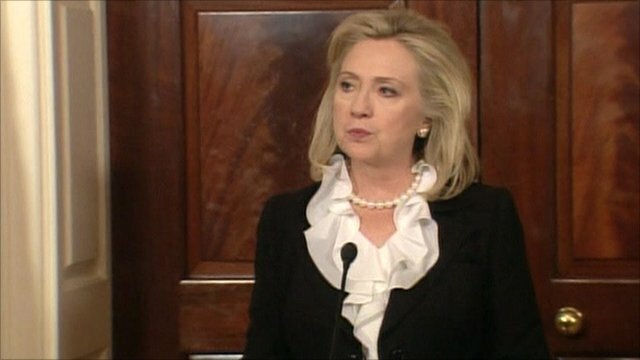 US Secretary of State Hillary Clinton said Mr Assad was the main obstacle to his people enjoying a "government that respects their dignity, protects their rights, and lives up to their aspirations".